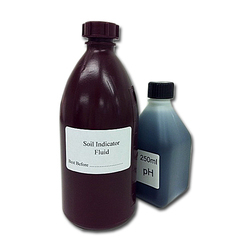 500ml pH soil indicator fluid. Barium Sulphate. 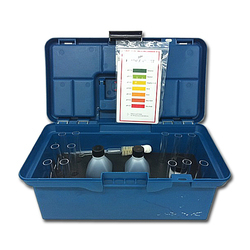 12 plastic test-tubes with stoppers. Pipette and cleaning brush. 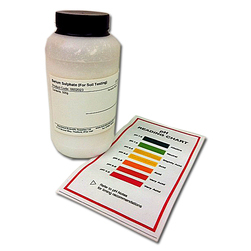 pH soil colour chart indicator. All comes in an easy to carry, lightweight carry-box. Available in multiples of 500ml. Colour chart indicator included, on request. Usually sold in 1kg measures. Smaller measures available on request.